If you are thinking about going just go! Don’t think twice. I have been there many times and every time I go I always have lots of fun. I also love photographing Bangkok. There are so many things to photograph on the streets and in the temples. Most people don’t mind when you take their picture and for the most part Thai people are very friendly. Beware of the Tuk Tuk drivers though, they can be tricky. 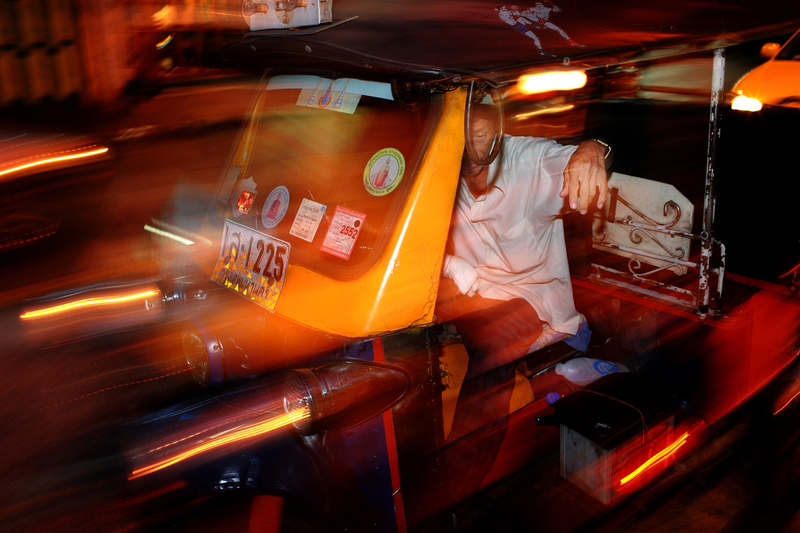 (Tuk Tuk is the Thai name for motorized rickshaws). 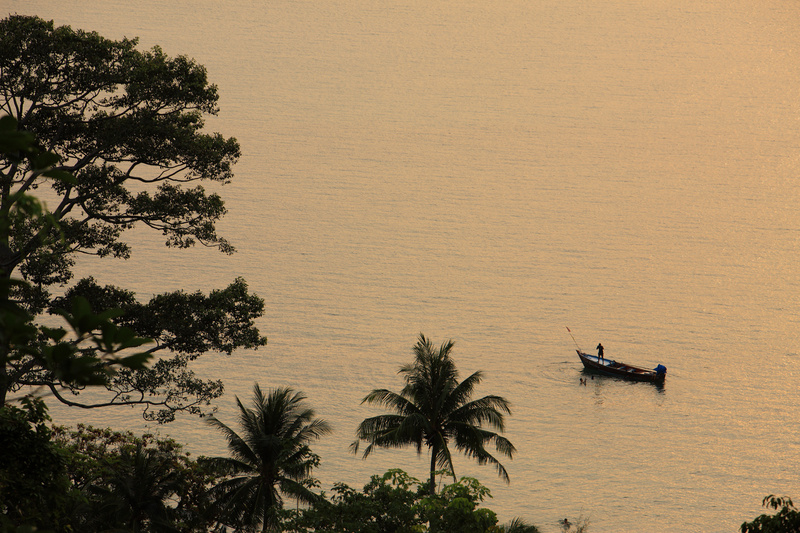 Boat and the Gulf of Thailand. Stayed there for 19 days once. Absolutely loved it. This island of the east is very photogenic, quiet and peaceful. In the center of the island it is quite untouched so if you are into birdwatching or other island rainforest activity you are going to enjoy it there. It is a much quieter place than many other thai tourist destinations but that was what I liked about the place the most. Go there and buy a hammock, listen to the waves and eat delicious thai food. One of the most amazing places I have ever been to is Laos. This image is from Vientiane, the capitol city. The most busy place in Laos but still this charming city gives you a small town feeling. 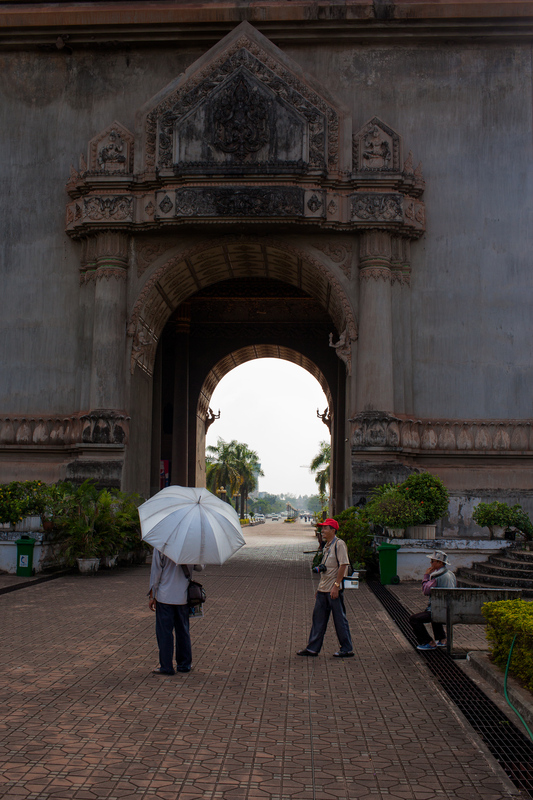 Vientiane is probably the quietest capitol city in south -east Asia. Laos, as a travelling destination is one of the most peaceful countries I have visited. The first time I went there was on my honeymoon with my wife. We stayed there for a month and traveled from Vientiane to the border of southern China and later also into China from there. We visited many other countries during that excursion but Laos will forever have a special place in my heart. Laos has a population of 6,6 million so it also makes it one of the greenest places I have visited. Me and my wife have a thing for handmade silk so we rented a motorcycle and drove up the mountains to buy the silk directly from the ladies in the villages that make them. Luckily for us my wife is great at reading maps! We drove to many villages and every time we saw one of those weaving tables under their wooden huts we stopped and knocked on the door. It was a great way to see the country and also to meet so many locals. Most importantly we wanted the families to get the money from us directly instead of selling the silk cheap to some middleman that would probably underpay them for all their work. If you are ever interested in going there I really recommend it. Laos is absolutely magical with all the diverse cultures living there and the glory of its rainforests and waterfalls should high up on anybodies bucket list. If you are interested in going and you want some travelling advice just write me a comment or email me from my website.